Whether Eastern or Western, your sauces will taste better with a pan designed to enhance their flavor. Part of the Monolithic Cookware line designed by Naoto Fukasawa for JIA Inc, the Monolithic Sauce Pan celebrates the spirit of home cooking, regardless of the preferred cuisine. The minimal form and simple black finish provide the ideal contrasting accent to vibrant, aromatic sauces. 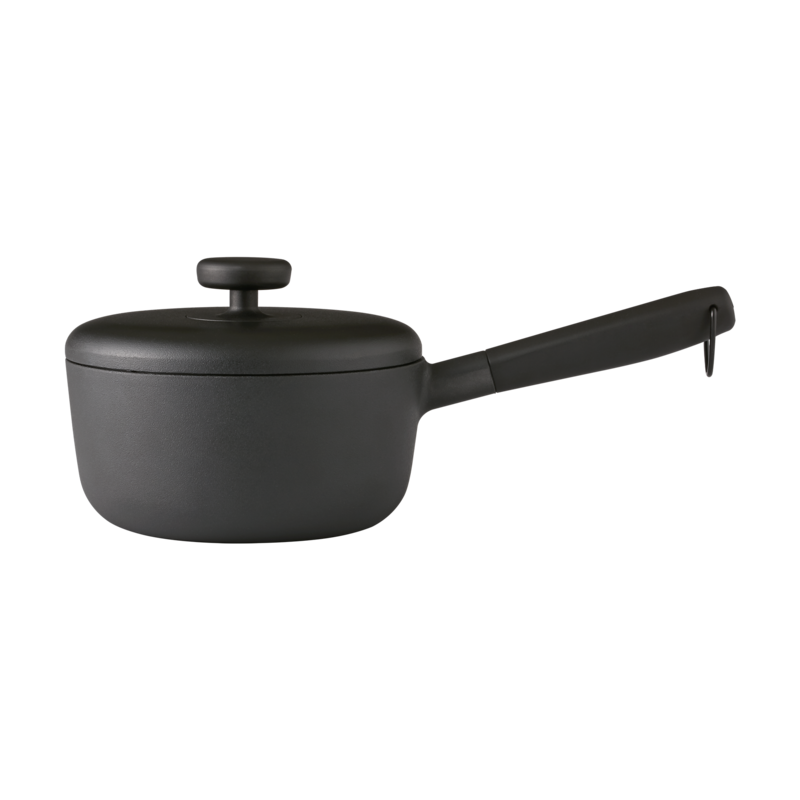 More than just an elegant pan, this product is made of cast aluminum which is lightweight and has superior thermal conductivity. The heat-resistant handle has an ergonomic shape to feel comfortable to hold when cooking. Apart from sealing the flavors inside the sauce, the lid also features small bumps for venting extra steam. Create a complete cookware set with the casserole, frying pan, and three utensils from the Monolithic collection. Seasoning the cookware: Before first use, fill it with water up to seven-tenths of the way up the cookware, bring it to boil for 5 minutes and then pour the water out. Wipe the cookware dry and apply a thin layer of cooking oil. Bake with medium-low heat for 2 minutes. Rinse with water after the cookware is cool to complete the seasoning of the cookware. Recommend use: Cast aluminum has good thermal conductivity. Recommend to use medium-low heat for cooking. Avoid sudden changes in the temperature of the cookware. After cooking, wait until the cookware has cooled, or rinse it with warm water to prolong the life of the cookware. Care: Not dishwasher friendly. Do not use rough brush to clean the utensils to avoid scratching the surface.